16/1/19 – China has found a lovely new home! 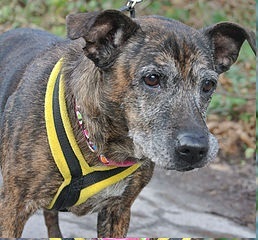 China is an adorable 10 year old Staffy Cross girl who is being rehomed by Good Life Dog Rescue and is in kennels in Yorkshire. 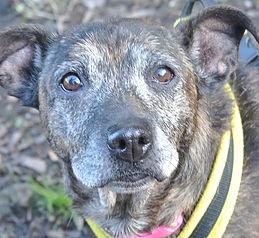 Pretty China arrived in rescue from stray kennels, where she had been left waiting for someone to love her. 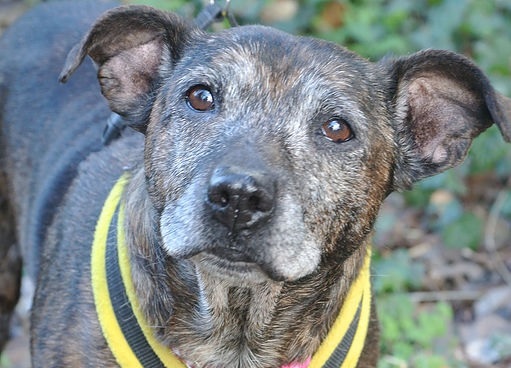 China adores people and loves having cuddles – she is a typically loyal and loving Staffy. She likes to climb on your knee for a fuss and will make such a special little companion for her new owner. China walks well on the lead and really enjoys her walks. She goes out walking with dogs at the kennels, and just ignores other dogs on walks, however she isn’t happy if bouncy dogs invade her comfort zone. She prefers calm dogs and she would like to be the only dog in her new home. She could live with older children and is unknown with cats. She travelled well in the rescue’s van to the vets, and of course the vet loved her and China was no trouble there. At her vet check, China was found to have a cyst on her belly which will need to be removed. This will be paid for by Good Life Dog Rescue as soon as a home is found. 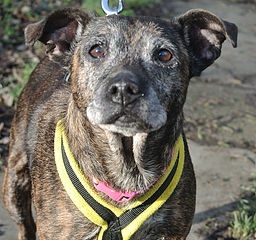 Sweet China needs love and home comforts as soon as possible. 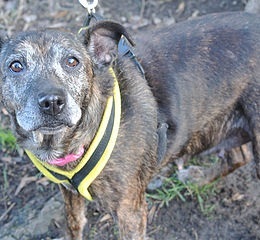 She is so sad and miserable in kennels and is very reluctant to go back into her kennel after a walk. Someone with a calm, relaxing lifestyle would be brilliant for China so that she can spend lots of quality time with you. She would particularly suit a retired person or couple. 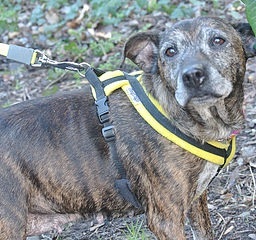 She would be very content to have a lovely walk and then snooze the day away on the sofa, bless her. 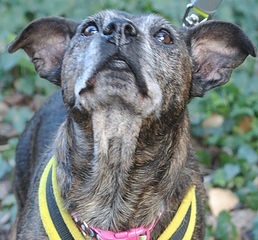 The rescue adores China as she is such a lovely dog. Kennels is simply no place for a 10 year old lady. Could you help China? Please mention that you saw China on the Oldies Club website.